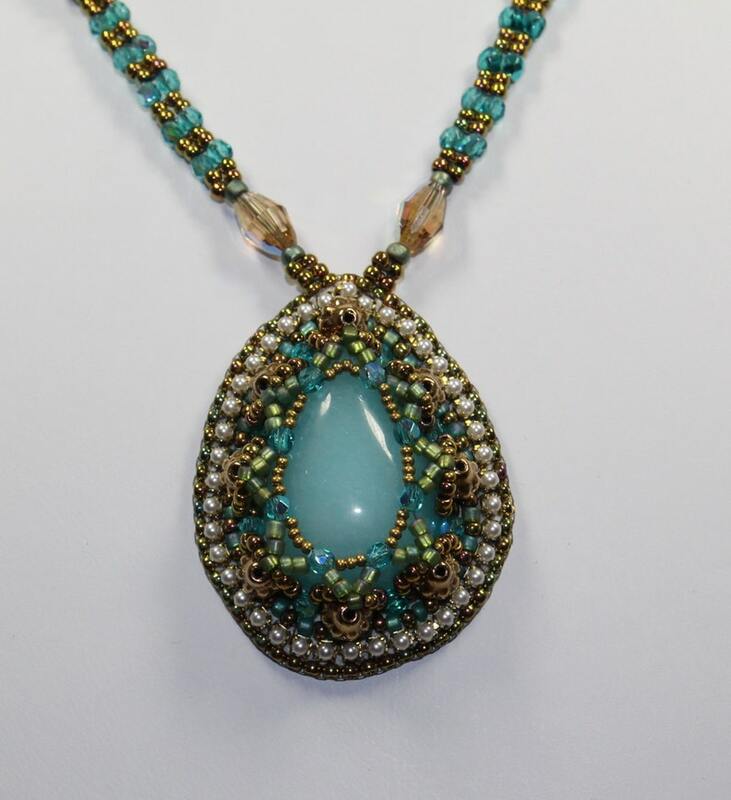 This beautiful turquoise teardrop stone has been enhanced by gorgeous cut Aqua Czech crystals and surrounded by pearl cup chain hand embroidered on Ultra Suede. The simple but very elegant pendant is attached to a hand woven spiral twist rope which includes the Aqua crystals surrounding the pendant. The necklace is a total of 21"